The Hilton Tokyo Odaiba has a beautiful panoramic view of Tokyo Bay that will sure take your breathe away. From each room, you can see Tokyo Tower, Rainbow Bridge, and the cityscape of Tokyo from the balcony. However, the charm not not only lies with the view. We want Japan to be the successor of the spirit of hospitality. It doesn't just end at our simple consideration for our guests, our words, gratitude, and even our posture is conditioned to serving the customers. We wish to make your stay a pleasant one. Each spacious room has luxurious facilities, and balcony from which you can view the city. Try our seasonal cuisine that's our chef's pride and joy. From traditional meals to Japanese and Western-style buffet, you're sure to find something you like. 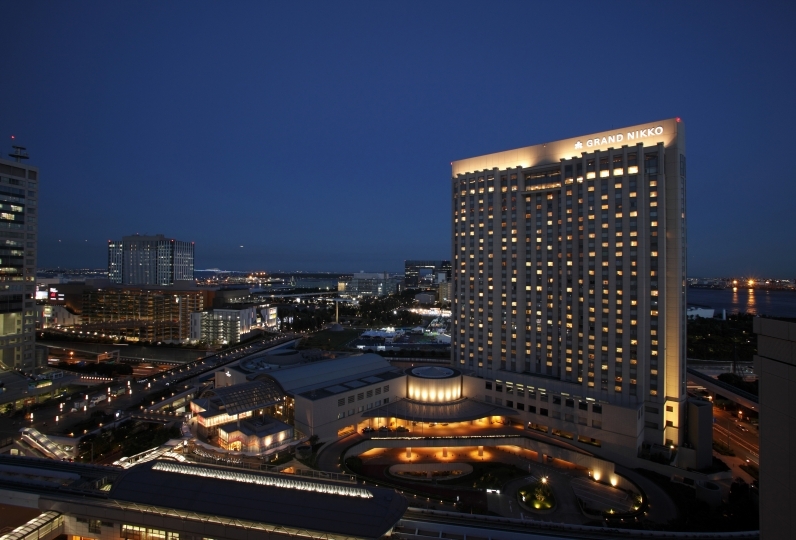 At Hilton Tokyo Odaiba we have refined our service to provide you with an upgraded hotel stay. This time, I stayed to celebrate the birthday of my grandson, who will be 5 years old, and the 36th wedding anniversary of our couple. Where I had told you about it in advance, I prepared a birthday message and sweets in my room and my grandchildren were delighted. In addition, as a celebration of the wedding anniversary, we received five drink tickets and were able to toast with everyone. Thank you very much for your wonderful plan. In addition, room prepares room which can see Rainbow Bridge from porch, and night view was very beautiful at night. For dinner, I was able to prepare dinner with a view of the Rainbow Bridge, and I enjoyed the dinner with the best feeling. The contents of the dinner were also very good. As for breakfast, I was able to have a spacious breakfast on the sofa seat, considering that I had a small child. The staff's response was all very kind and I was able to spend a very pleasant time. I felt that it was a Hilton Hotel again. Thank you for a really nice time. I hope to use it again someday. There are too many bed pillows for children. As the rear room is far, please increase the elevator. There is one more thing. It is a pity to come to receive the box of the courier service. But the first floor sandwich was delicious. It was a very nice hotel. I will certainly stay again! In the hotel restaurant and bar, you can taste various kinds of cuisine catered especially for you. The terrace seats open from early spring to autumn, and the barbecues and beer garden are also popular. 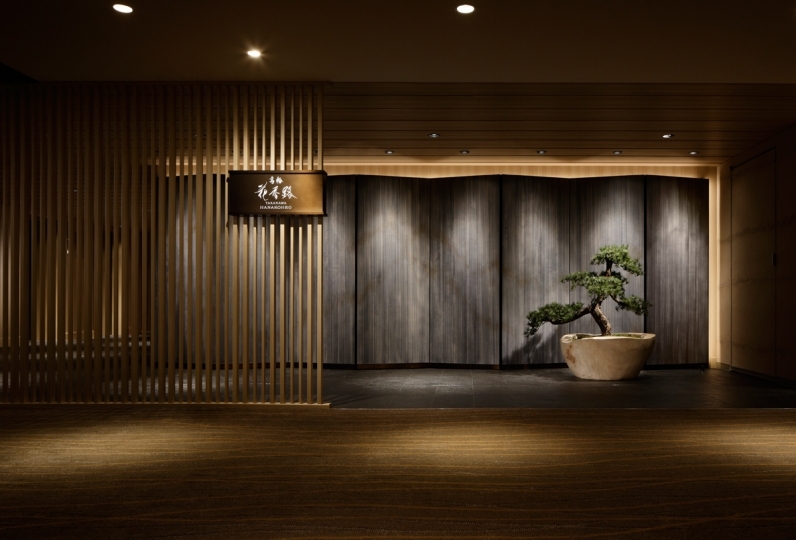 The private rooms in the Japanese restaurant Sakura and the Chinese restaurant Toh-gu is recommended for guests with business dinners or celebrations. At Seascape on the Lobby floor you can bask in the dazzling sunlight that streams through during the day, turning into a spectacular night view of Tokyo city from the evening. We invite you to enjoy a rich variety of buffet-style cuisine as well as also baked goods, snacks, sweets, and coffee. Grilling meat and seafood with the power of fire. By making full use of the right temprature and delicate spices this simple cuisine has the potential to have limitless tastes. Feel the dynamism of the chefs in the open kitchen, and enjoy the depth of flavor of grilled food has to offer. The bar also serves a variety of cocktails. A sukiya-style store overlooking the Japanese garden, enjoy your multicourse Kyoto-style kaiseiki that incorporates seasonal ingredients and local sake. Our three counters offer Teppanyaki, sushi, and tempura. The restaurant is decorated exotically in the image of ancient China. Enjoy Cantonese cuisine with influences from Japanese and European styles. The private rooms can accommodate 4 to 20 people are perfect for family gatherings. There is terrace seating for various restaurants from spring to autumn. Enjoy a pleasant moment in the gently blowing wind. 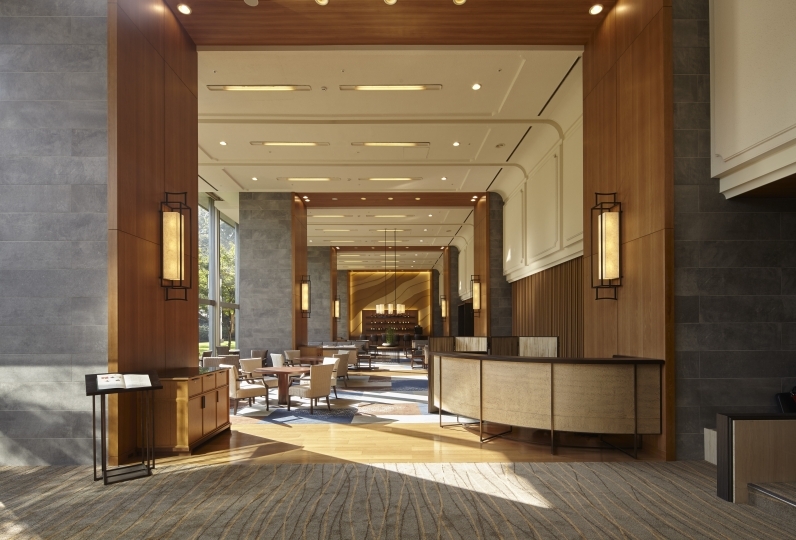 The Hilton Tokyo Odaiba has six types of rooms and 18 suites. Ten of them come with an outdoor jacuzzi in the private garden and you can enjoy the panoramic view of Odaiba including Tokyo Tower and Rainbow Bridge. From the outdoor terrace and large windows, you can see the deep blue sea and sky from the center of Tokyo. Being able to viewing the Rainbow Bridge and the skyscrapers near the Tokyo Bay creates a luxurious, sophisticated space. Relax as you usually would for breakfast, afternoon tea, or cocktails. 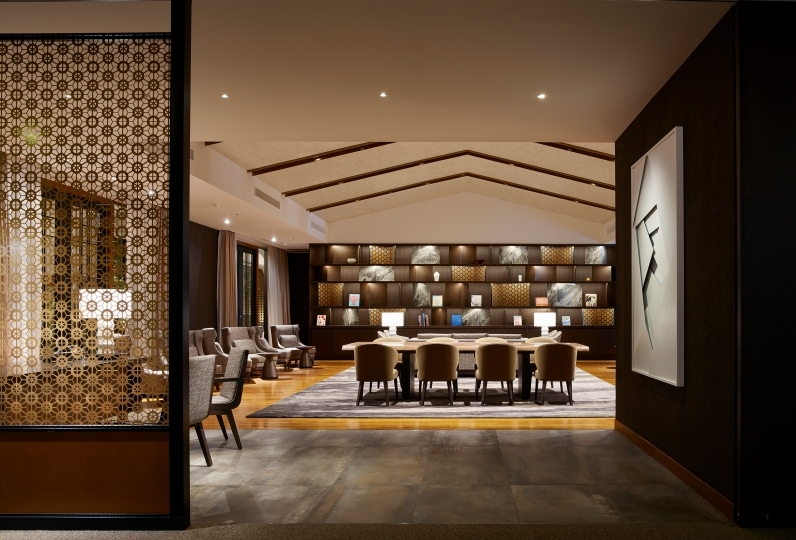 Enjoy the wonderful view of Tokyo Tower and Rainbow Bridge while relaxing in the indoor pool or jacuzzi. We use the ingredients used in Seascape Terrace Dining to create Odaiba Special Sandwiches and colorful sweets. Entertainment and commercial facilities are all within walking distance. Additionally, a free shuttle bus runs to the Tokyo Disney Resort R every day! Tokyo Big Site, Shinagawa, and Ginza are all 30 minutes away by train. Directly connected to Yurikamome Daiba Station. 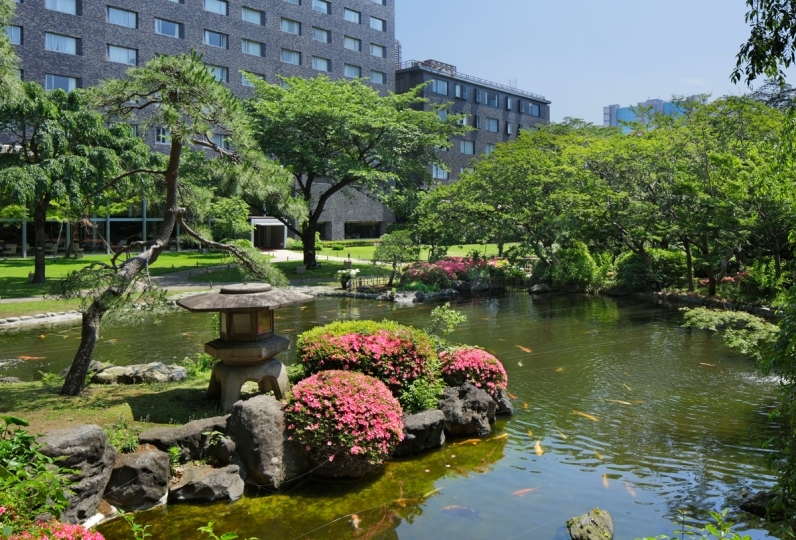 About 20 minutes by bus from Haneda Airport, Tokyo Big Site, Shinagawa, Ginza etc. Excellent access to major businesses and the business district! Directly connected to the new Yurikamome Daiba Station. ※ You can use the free shuttle bus (Tokyo Bay Shuttle). · Runs from Shinagawa - Daiba / Tamachi - Daiba. · Free bus that runs along Rinkai Fukutoshin. 92 of people have viewed this page within the past 24 hours.